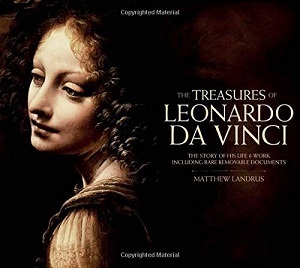 This beautifully illustrated book looks at the major events in Leonardo's life: from his early childhood to his apprenticeship with Verrocchio, and then the setting up of his own workshop in Florence, before leaving for Milan where his patron was Ludovico Sforza ("Il Moro"-the Moor). Packed with information about Leonardo's style of painting and drawing, as well as his work as a civil and military engineer, the book combines chapters on Leonardo's life with themed chapters that look at his inventions and key works, including such well-known paintings as the Mona Lisa and The Last Supper. We also learn about his travels back to Florence and to Rome, and how he finally went to work for Francois I, the King of France, and ended his days at the French court. Rumour has it that Leonardo died with his head cradled in the King's arms. This is a truly fascinating look at an amazing talent; a man who was ahead of his time in many ways and in many aspects of art and science. With instructive box features offering further information about key people and subjects in Leonardo's life, and helpful timelines for added reference, plus 15 beautifully produced removable facsimile documents that give unprecedented insight into Leonardo's life and work, this is a unique and authoritative guide to the world's most intriguing artist.